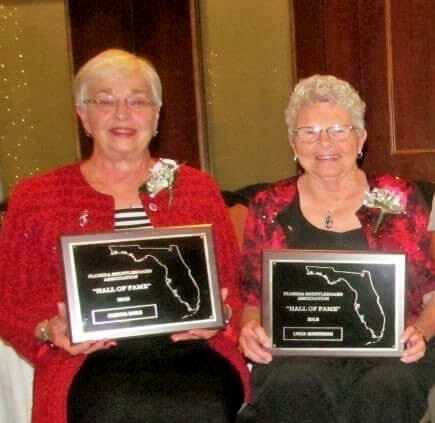 ← Polk County Senior Games! Plan Now!! See Below!! The Earles Meet Up With Shuffleboard Friends, the Marshmans, on their way to Florida!! What do you take to a friend who is recovering from hip surgery, and who is a seafood connoisseur??? 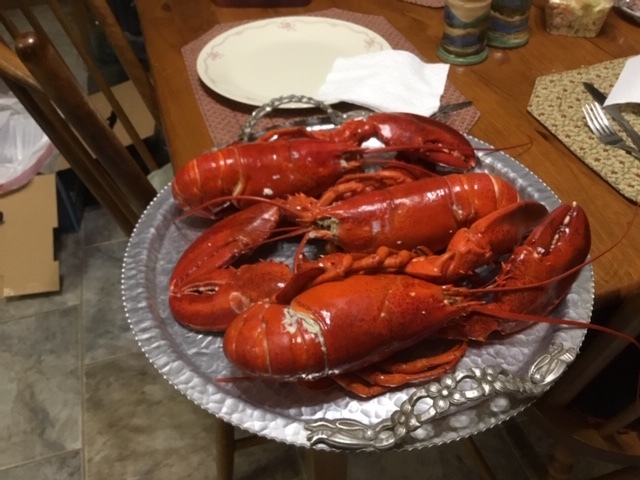 Well perhaps NS lobster! 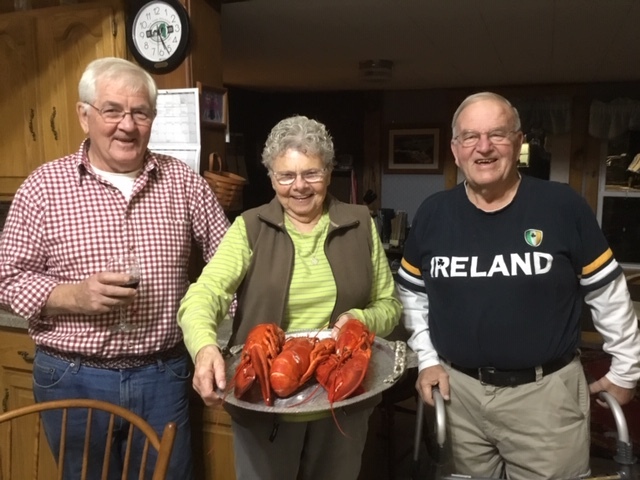 David and I left NS with a specially packed box of lobsters to bring to our good buddy, Bob who is trying to get back on his feet after a particularly nasty hip replacement. As you can see from the pictures, he enjoyed every bite. The photo above left, is of Bob and his daughter Chris, who dropped in to partake as well. It has been snowing here most of the day but thankfully it is wet and with any luck it will continue to be that way for our departure on Wednesday morning. 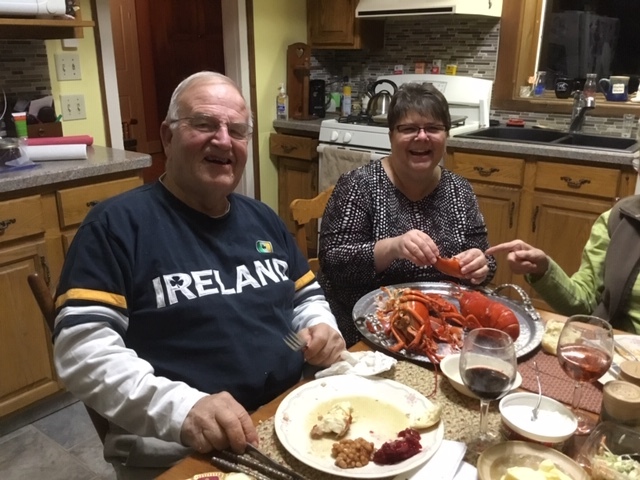 Bob is doing well and if things continue this way we should see these folks in FL soon after the beginning of the new year. We are enjoying catching up with each other. Glenna Earle. 2018 11 27. Click on these pix to expand. Pic on left, indicative of their close relationship, both going into the FSA Hall of Fame at the same time. 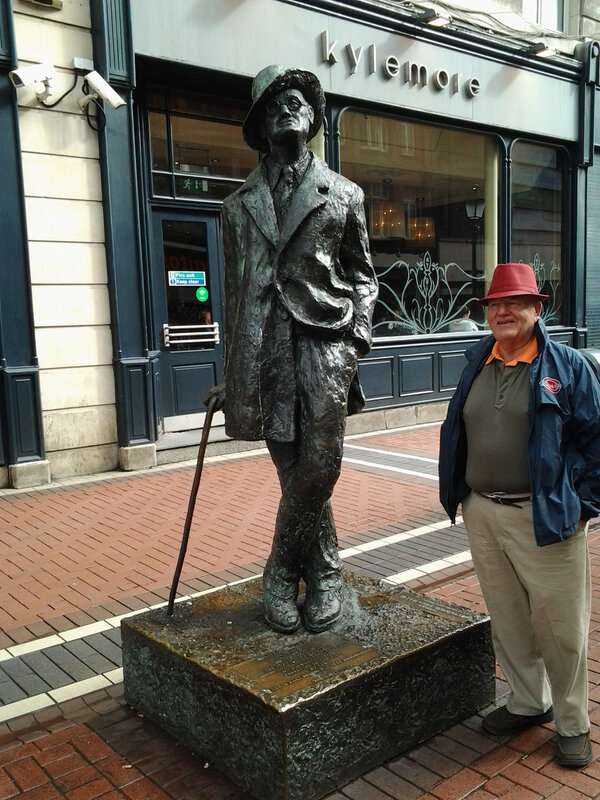 And on the right, while in Ireland, Bob has his pic taken with Irish Author, James Joyce!!! Stan; 2018 11 27. 2 Responses to The Earles Meet Up With Shuffleboard Friends, the Marshmans, on their way to Florida!! So special. Get well soon Bob. Quite a feast. Wishing you a speedy recovery.